OpenAirplane co-founders Rod Rakic and Adam Fast talk about the platform that makes it easy for pilots away from home to rent airplanes. Pilots fly more, increase their proficiency, and aircraft utilization is higher. Learn more about OpenAirplane with the handy online pilot’s guide and the operator’s guide. See also the Support for Pilots FAQ and the Support for Operators FAQ. Follow them on Twitter and Facebook. Rod Rakic pioneered social media for aviation as the founder of myTransponder.com. Recently, Rob left his position as Director of the Digital Innovation for Sears Holdings, to concentrate full time on growing OpenAirplane. Rod started flight training when he was sixteen, and holds a FAA commercial pilot certificate with an instrument rating. He flys for business and pleasure, and he’s an active Search and Rescue pilot with the Civil Air Patrol, where he serves as a Squadron Operations Officer, with the rank of Captain. Adam Fast loves software coding and flying GA aircraft. He’s been a software developer and a software consultant, but he combines that interest with aviation by geographically indexing the world’s aviation museums, working on aircraft management software for his flying club, building a scheduling system to automatically create an itinerary for the world’s largest airshow, and his own implementation of a glass cockpit. He’s a ham radio guy, holds a private pilot certificate, and has flown solo round trip to Oshkosh. Adam has also spoken to the International Space Station via both voice and data modes, and stood three miles away on the final launch of all three Space Shuttle Orbiters. We also look back on significant aviation stories from 2013, and ahead to what may make the news in 2014. David Vanderhoof interviews Lieutenant Commander David Tickle, who joined the Blue Angels in September 2010 and served as the Narrator and VIP pilot in 2011, the Opposing Solo pilot in 2012 and the Lead Solo pilot in 2013. He has accumulated more than 2,450 flight hours and 261 carrier arrested landings. His decorations include two Strike Flight Air Medals, two Navy and Marine Corps Achievement Medals, and various personal and unit awards. 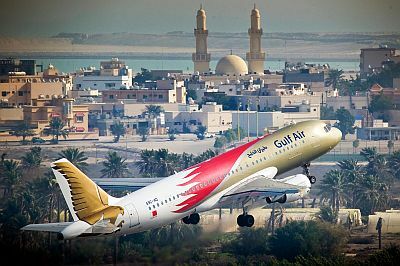 We return to the Middle East with Oussama Salah from Oussamas Take to look at new airlines starting in the Saudi market from Qatar and Saudi Gulf Air as well as the impact of a settling of political unrest in certain parts in now affecting aircraft orders. Will Airbus’s and Boeing’s keep raining down on MENA? Find Oussama Salah on Google Plus, and Facebook. Launchpad Marzari interviews Raimund Riedmann, the Redbull Chief pilot and Flight Operations Manager. Hangar 7 and The Flying Bulls. Trevor provided links to “Near Miss,” an ATC program from Discovery Canada: Near Miss 1, Near Miss 2, Near Miss 3, Near Miss 4, Near Miss 5. This entry was posted in Episodes and tagged Airline Fees, Beechcraft, Blue Angels, OpenAirplane, Redbull on January 1, 2014 by maxflight. Just finished listening to podcast 280. Great to hear Rod and Adam doing so well with OpenAirplane.com . Such a fantastic idea. Enjoyed the interview with Raimund from Red Bull. Keep up the good work and we’ll see you at Camp Bacon!